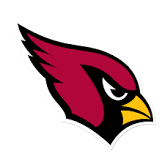 A New Leaf received a generous donation of $25,000 from Arizona Cardinals Charities. The funds will benefit A New Leaf's two domestic violence shelters, Faith House and Autumn House. Every night more than 200 families sleep in A New Leaf's shelters. "Because of the Cardinals, hundreds of children and families will understand that they are not alone," said Torrie Taj, Deputy CEO of A New Leaf. "They will begin to feel strong enough to break the cycle of abuse or homelessness." A New Leaf's mission is "Helping Families . . . Changing Lives." The agency provides domestic violence and homeless shelter services, affordable housing, behavioral health services, foster care and community access services.